Smok TFV12 tank is the tank of the year 2017. Flavor and vapor production are outstanding. Cloud chasers are going to love this tank. Tank comes with a massive dual airflow, which spins 360°. 510 connection with a non-adjustable pin. 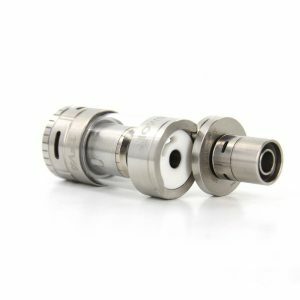 510 Delrin drip tip keeps your lips cold from the vapour which comes through the massive chamber. 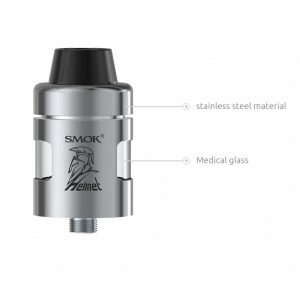 Top-filling is done in a standard “Smok” way: you will twist the top of the tank to see the liquid hole, where you can fill up to 6ml of the juice. 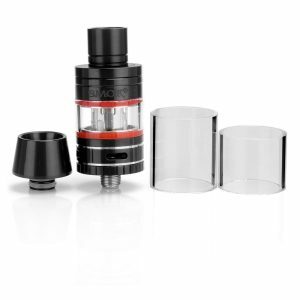 Tank comes with V12-T12 Duodecuple coil of 0.12ohm resistance. This coil looks very aggressive! There are 6 vertical coils installed. There is no better option in the market than this Smok TFV12 tank which is an unprecedented strong and wild option for a vaper of any level. 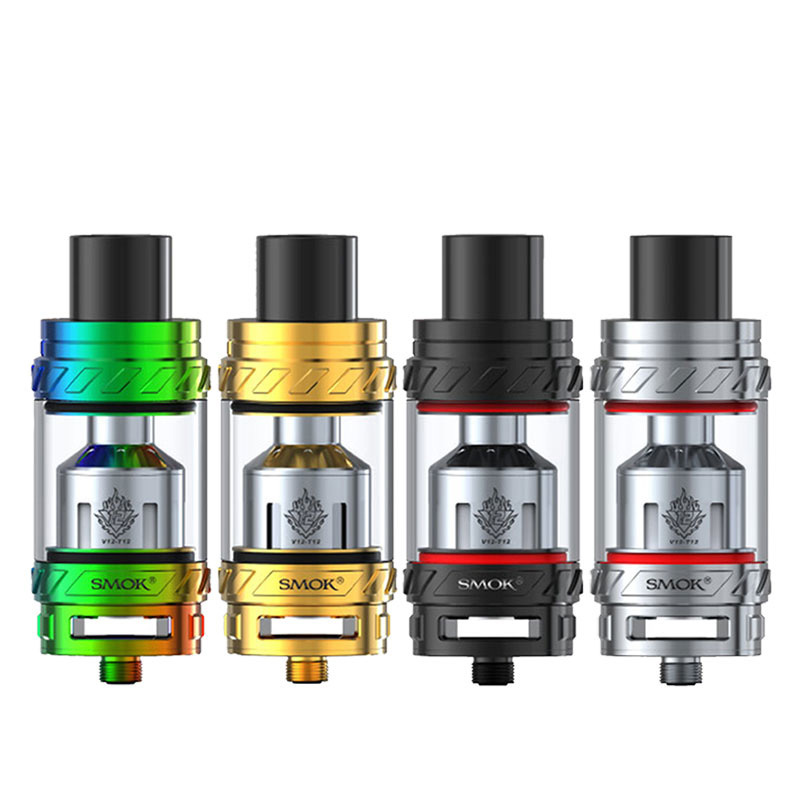 The newest Smok TFV12 tank comes with a 28mm diameter and houses the biggest ever cloud chasing coil head, its variants include V12-T12(Twelve Coils), V12-X4(quadruple coils) and V12-Q4 (quadruple coils)make it the biggest beast king of the year. The innovative approach used in the making of this tank is sure to give the vaper an ever changing vaping experience. 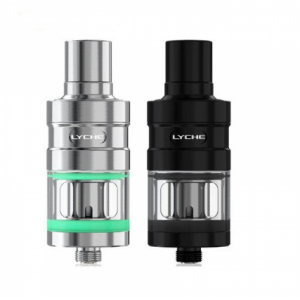 This tank uses sub-ohm resistance coils and should be used by experienced vapers only. When using sub ohm tanks, extra precautionary measures should be taken by the user. This tank works mods only capable of firing sub ohm atomizers and coils. Improper use of coils and mod can lead to injury or damage. For people who are opting for mechanical mod, only 20AMP or higher batteries will be suitable. You can use OHMS law calculator to check your amp to ensure safety.